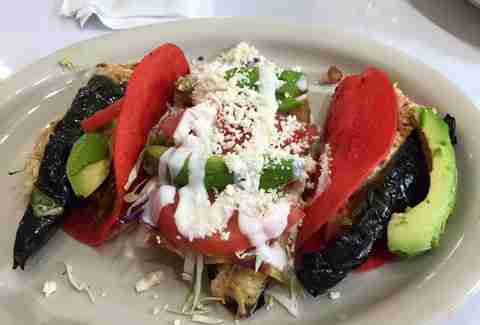 Both puffy and not, tacos are a force to be reckoned with in Alamo City. No matter the time of day, no matter the type of meat craving, our local taquerias can fulfill your dreams with the flop of a tortilla. From underrated Mexican street food to nationally acclaimed icons, these eight spots represent the best taco options around San Antonio. You can tell that Datapoint is legit because it puts salsa in ketchup bottles. That and its barbacoa and menudo and enchiladas and carne guisada. Order the barbacoa mini-taquitos next time you frequent the Med Center. For $6.50 you’ll get the best barbacoa in the city topped with diced white onions, cilantro, avocado, and lime. What you do with that ketchup bottle salsa is up to you. Long known to miraculously cure savage hangovers, Rolando’s is the place to be after a long, debaucherous night out. Don’t let the size intimidate because your taste buds will forgive you for attempting this monstrosity. It’s typically not a great idea to consume tacos bigger than your face but when tortillas are this soft, eggs are this plump, and bacon is this porky it would be ill-advised to not anoint this joint with high honors. Sit down with a heavily dosed margarita and order these perfect specimens. 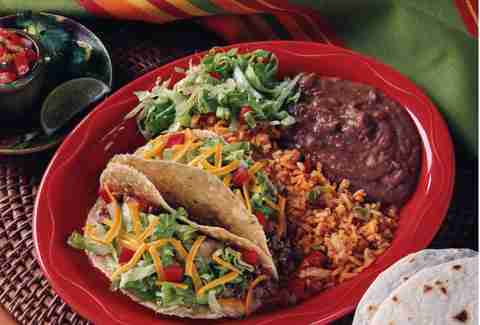 The grilled corn tortillas come with juicy grilled shoulder meat, mozzarella cheese, borracho beans, and soft rice. Pro tip: order the guacamole and fill yourself with enough chips to soak up the next three margaritas you’re going to order. Hands down the best puffy tacos in SA, Oscar’s doesn’t fool around. 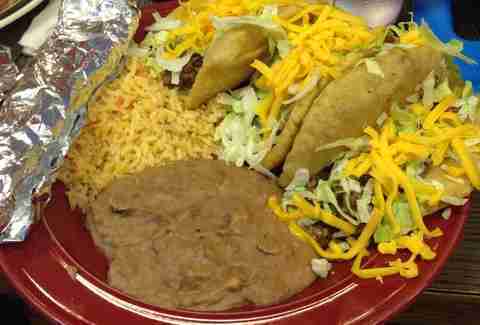 The three tacos come piled to the sky with beef, lettuce, tomatoes, and cheese. Pro tip: bring some quarters and pick a few songs from the jukebox. You’ll gain the respect of your fellow patrons if you play a quality Buddy Holly tune. An SA institution, Twin Sisters is known as a lunch hangout for Alamo Heights royalty, but don’t let the perception dissuade you. The portions might not be as large as us San Antonians are accustomed to, but this place makes a mean carne guisada. Tender, juicy, and with the right amount of salt, the taco will leave you wanting more, so make sure to fill up on the chips and fresh salsa. Ever since Guy Fieri and his frosted tips graced Taco Taco with their presence, this place has been mowing over taco competition like Tom Brady against a JV squad. Named the best tacos in San Antonio more times than you can count, Taco Taco is kind of like the Spurs dynasty of the taco world. 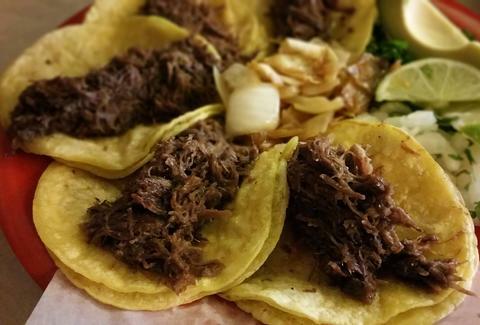 When you crunch into the beef puffy tacos you’ll understand why. 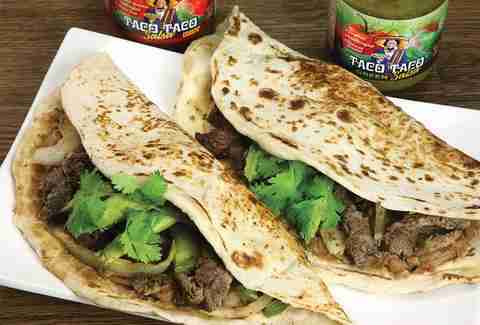 Finely fried, the tortillas provide the perfect amount of crunch to accompany the soft and salty ground beef. Sometimes you need to eat quality tacos at 2am in the privacy of your own car and with Mama’s 24-hour service and speedy drive-thru you can do just that. To hell with the crumbs this will produce: order the crispy beef taco plate and place the Styrofoam box on your sedan’s armrest. Peel the fork and knife from the confines of its plastic bag and enjoy the crunchy, beefy, cheesy flavors that are to come. 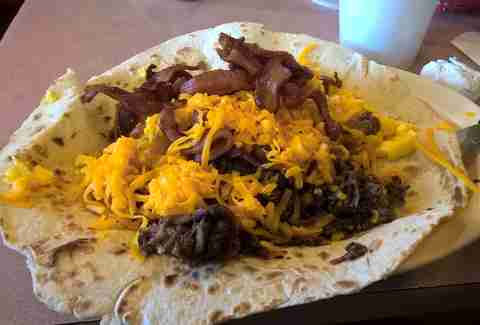 Aptly named Taco House, this place is home to some of the best Tex-Mex our city offers. Get the grilled cheese of the taco world, the bacon, egg & cheese, and thank us later. The bacon is chewy, the eggs yellow and soft, the cheese melty, and the mix of all three ingredients is nirvana. Stephen writes for Thrillist San Antonio and is a huge Guy Fieri fan. Find him in his silver Ford Ranger with an order of bean and cheese tacos from Mama Margie's. Follow him on twitter: @estebanjross.